Monya Kampa, founder of the St. Paul-based retail company, talks turning a hobby into a business and what’s new this season. With autumn well underway, St. Paul resident Monya Kampa’s warehouse overflows with boxes filled with all manner of nature-inspired home décor. 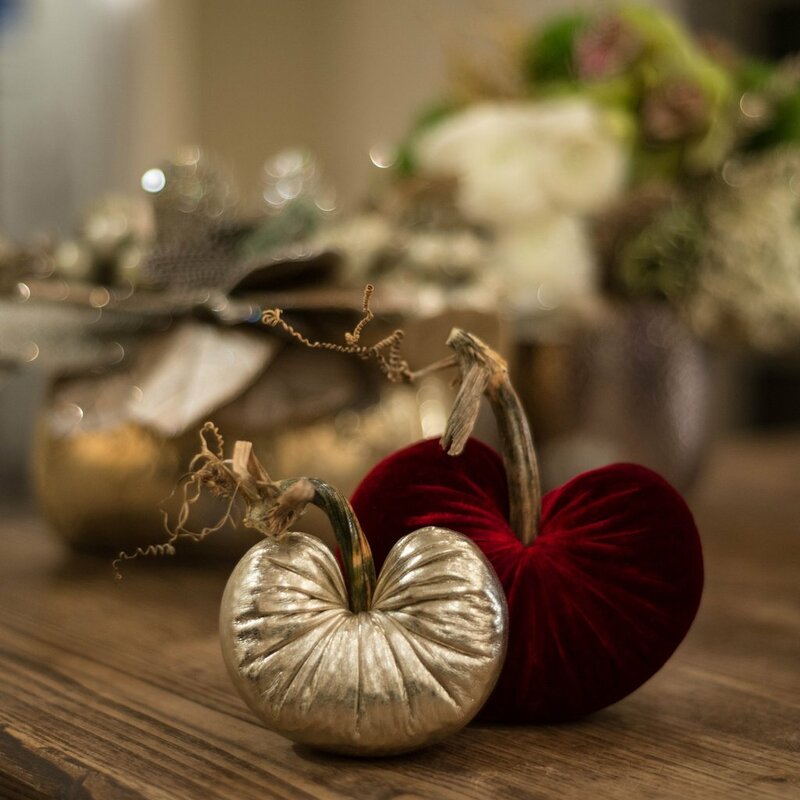 Now in her twelfth year of business, the owner of local retail company Plush Pumpkin is used to the fast pace of fall, and no wonder—her elegant and adorable pumpkins, acorns, and flowers make perfect centerpieces, and both local customers and out-of-town guests know it. Kampa (unknowingly) began her company in 2002 after noticing some decorative pumpkins in a shop and thinking to herself, “I can do that. 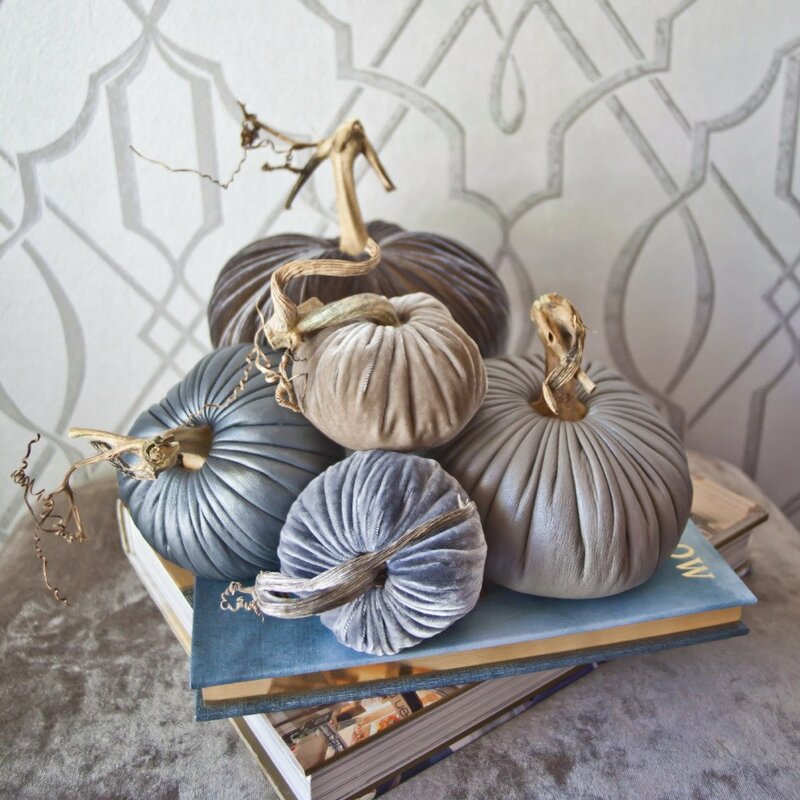 I can do better than that.” Inspiration sparked, she bought some silky rayon velvet from nearby fabric store Treadle Yard Goods and created her first pumpkin, finishing it off with a real stem. 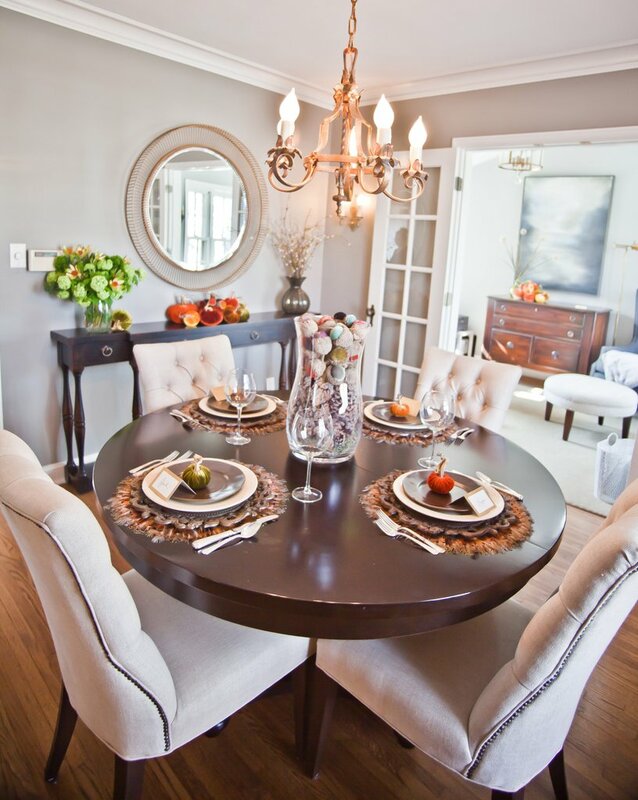 When friends noticed her new home accessories, she began making them for others, and for the next several years she kept busy with her newfound hobby. Eventually, she standardized her sizes and began bringing her creations to nearby shops, and soon the little pumpkins began flying off the shelves. 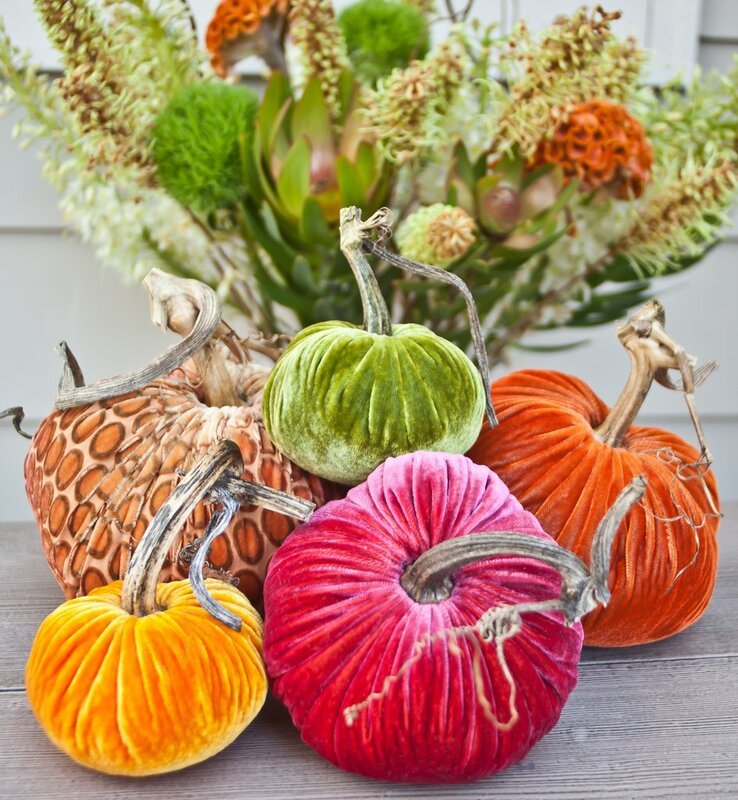 After participating in a trade show in Dallas, Texas in 2010, word spread, and today, her pumpkins can be found in more than 50 stores around the country. Available in a range of colors, sizes, and styles, each one is carefully made by hand, every step in their creation carried out by Kampa herself or members of her talented team. “The velvet is hand-cut, hand-sewn, and hand-stuffed, and then tucked and folded into the center,” Kampa explains. Next, Kampa turned her sights to a more modern, upscale model and added her Italian lambskin line, featuring pumpkins in neutral and metallic shades, followed quickly by her elegant metallic linen line. 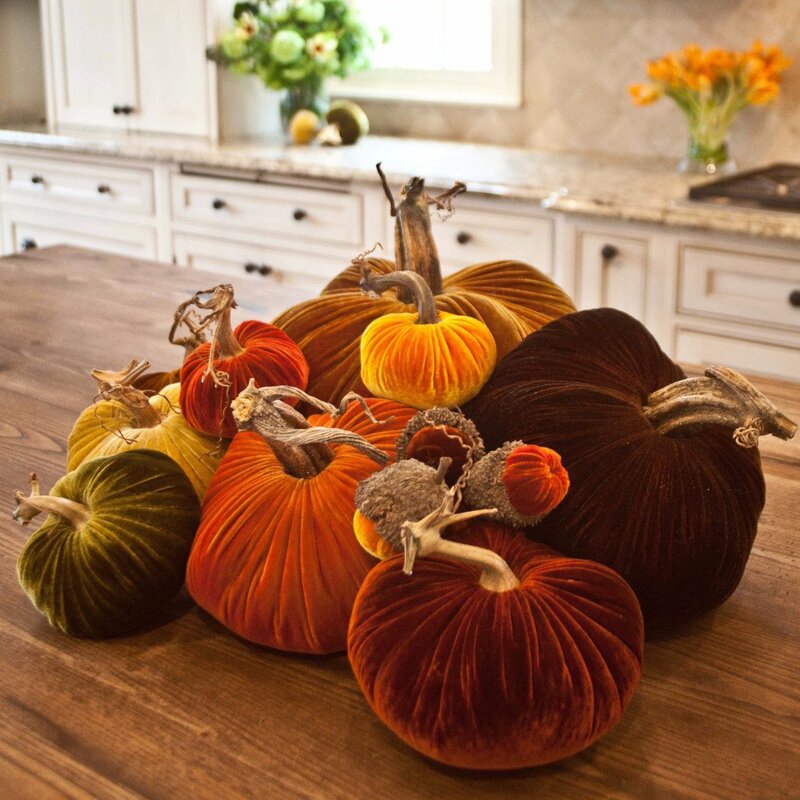 Three years ago, she partnered with textile designer Kevin O’Brien to create a special line of pumpkins featuring rich, hand-painted velvet fabrics. “The whole line really breathed new life into the company,” says Kampa. 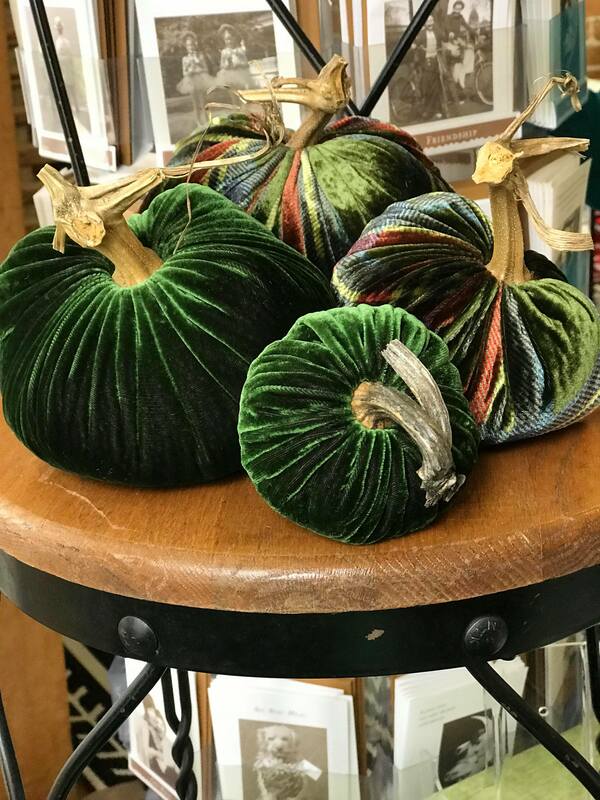 Most recently, Kampa announced her newest products for the season: emerald-green velvet and red, green, and blue plaids, which will be available at Ampersand Shops in Edina’s Galleria, her number-one selling store in the country, and at PlushPumpkin.com. 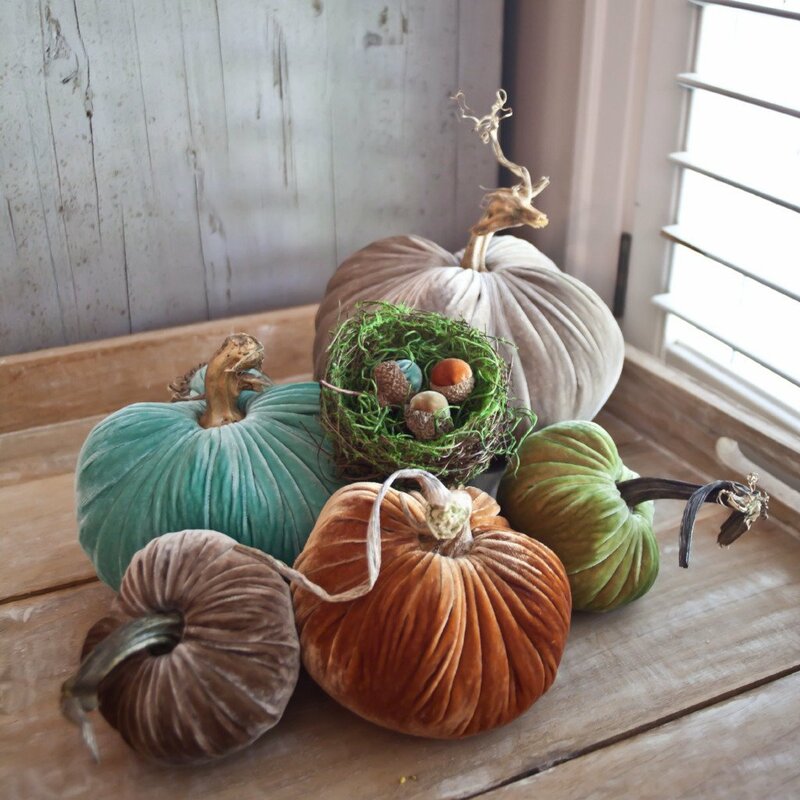 New velvet pumpkins in emerald green. 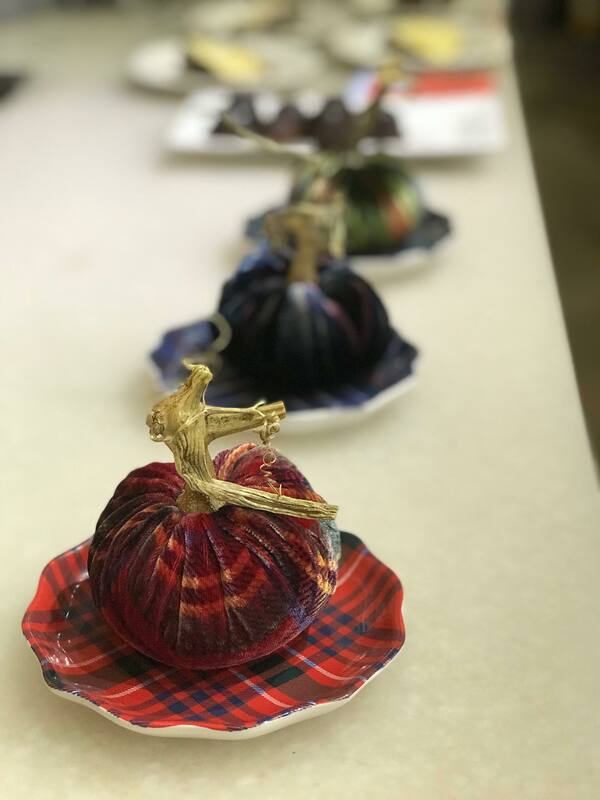 New velvet pumpkins in red, blue, and green plaid patterns.